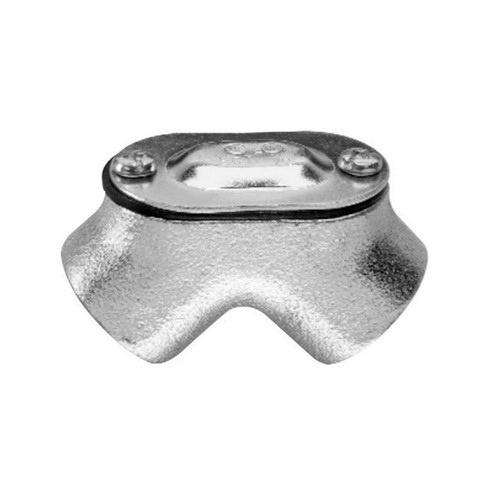 Crouse-Hinds 90-degree Pull elbow with female connection, is suitable for use with rigid and IMC conduits. It has a trade size of 2-inches. This elbow in zinc-plated finish, features malleable iron construction. It comes furnished with steel lock nut to ensure easy installation. Elbow is UL E-19189, cUL listed and CSA certified.